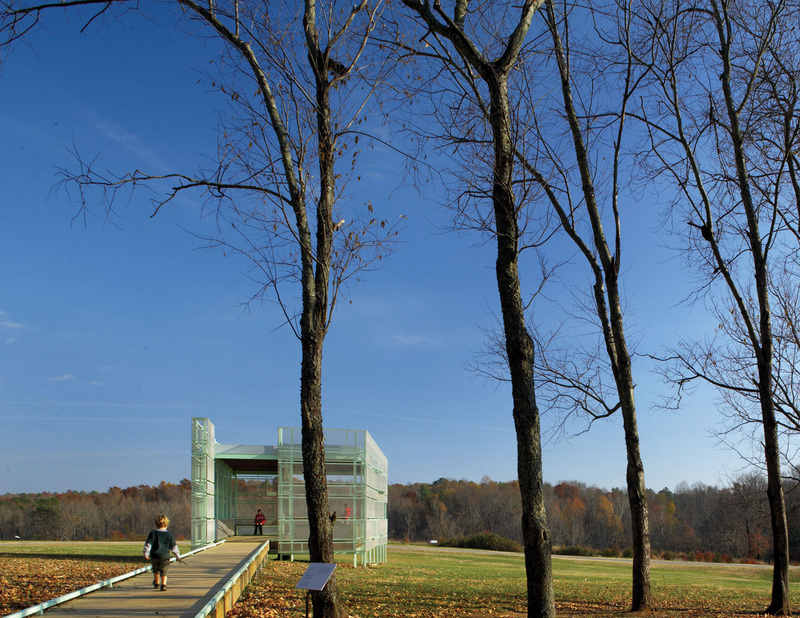 Cited by the AIA Small Practitioners Projects jury as “a remarkable piece of shelter and a handsome form in the landscape, ” this project was designed and built for the North Carolina Museum of Art, as an integral component of the Museum Park’s art-in-service program. 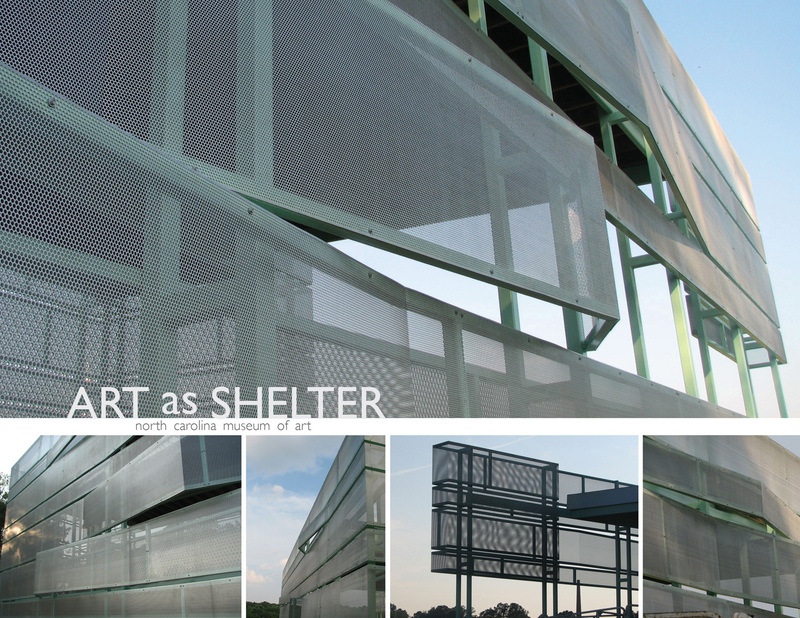 Art as Shelter provides visitors with a sheltered place to sit and reflect upon the museum, sculpture park and public greenway. 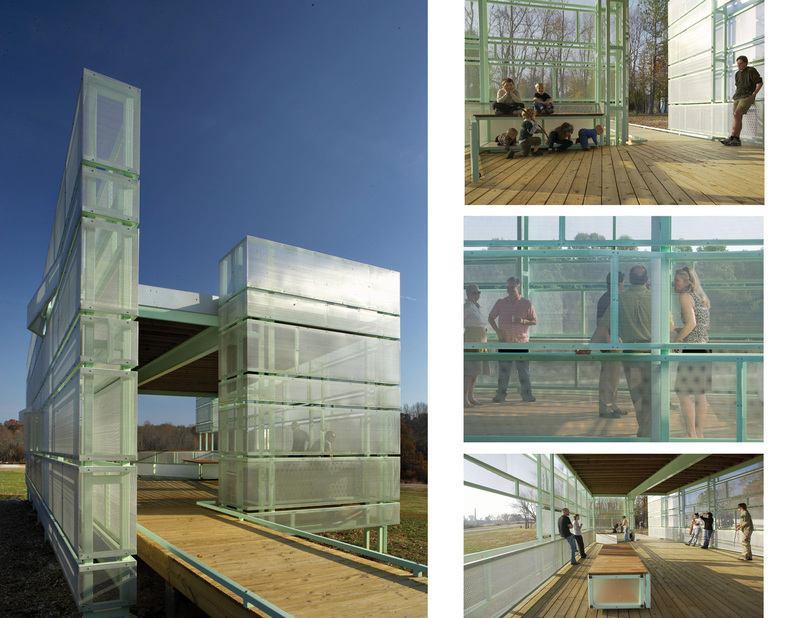 This sculptural pavilion can be viewed as an object in the landscape, or experienced from within, framing views of the nearby sculptures, trails and prairie. 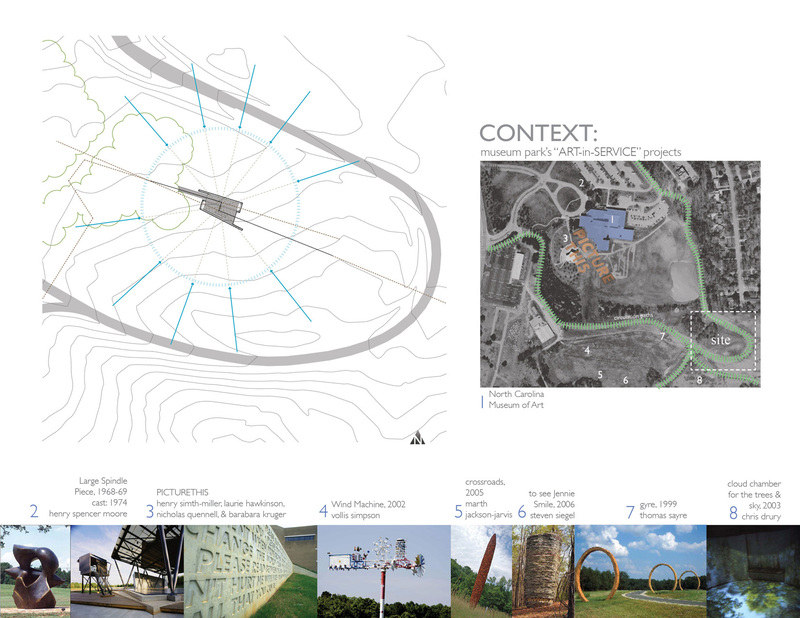 It is simultaneously affected by and affecting the landscape; a seamless blending between the two. 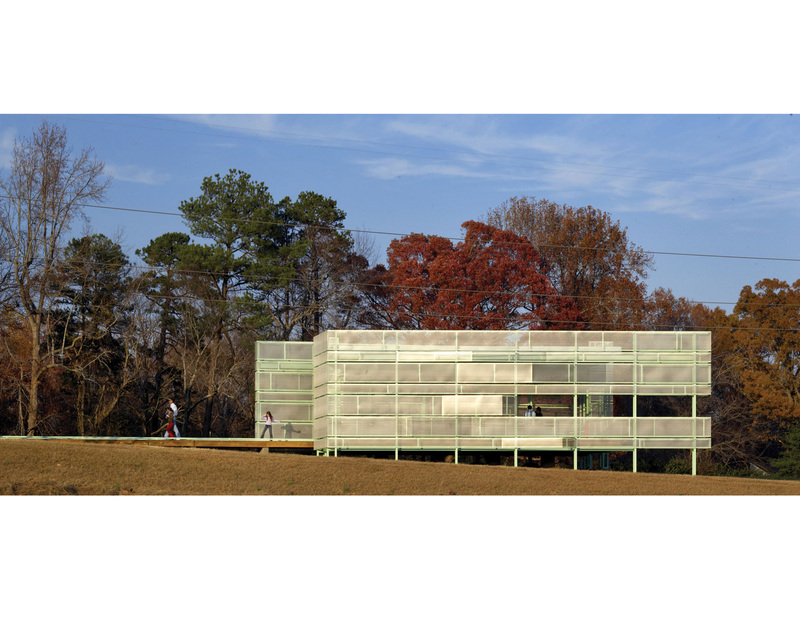 Wrapped in horizontal bands of perforated aluminum, the pavilion captures the flows of the site and creates a user-specific experience according to season, light, and vantage point. 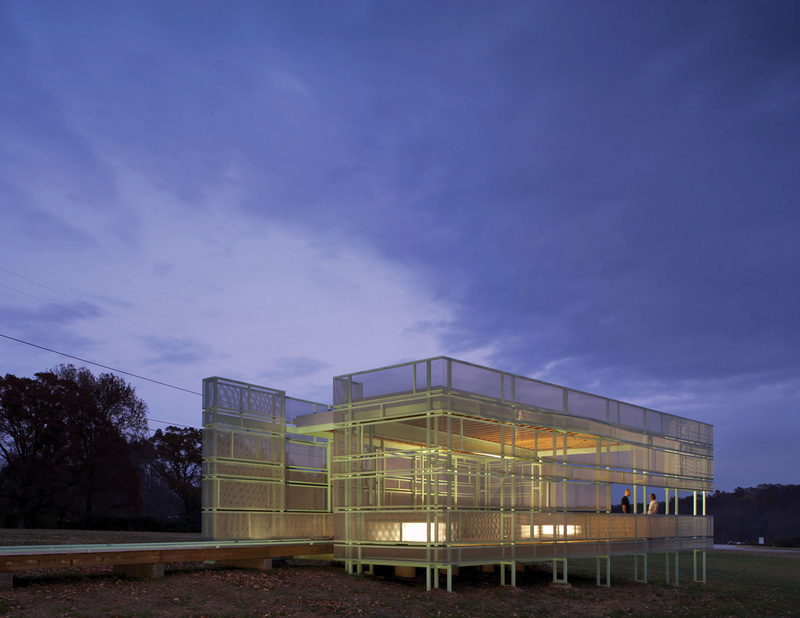 Its metallic skin reflects the surrounding nature by taking on colors of the grass or sky, and at times disappears into a moiré pattern of light and shadow. 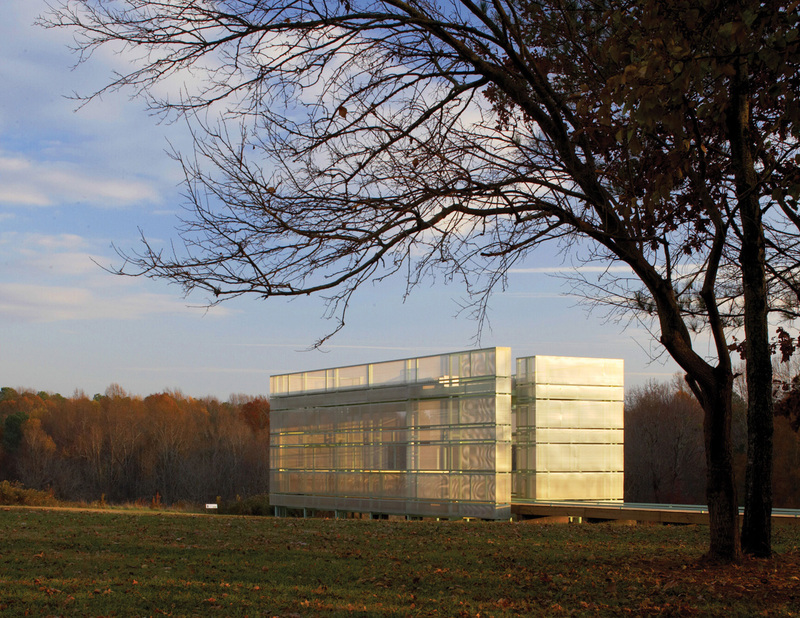 An exercise in efficient and accurate construction techniques, the pavilion was designed as a kit-of-parts, shop fabricated, and field assembled. 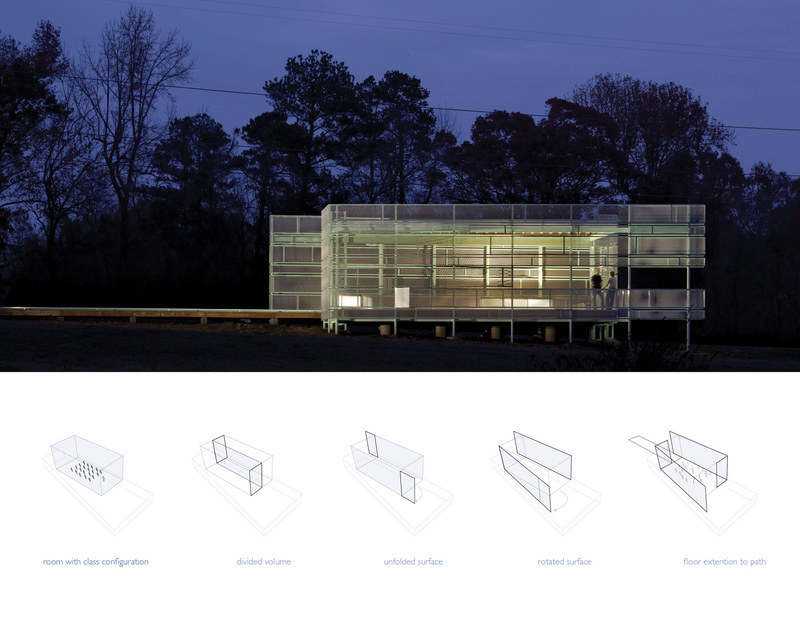 This developed as a direct result of our construction-led design methodology. 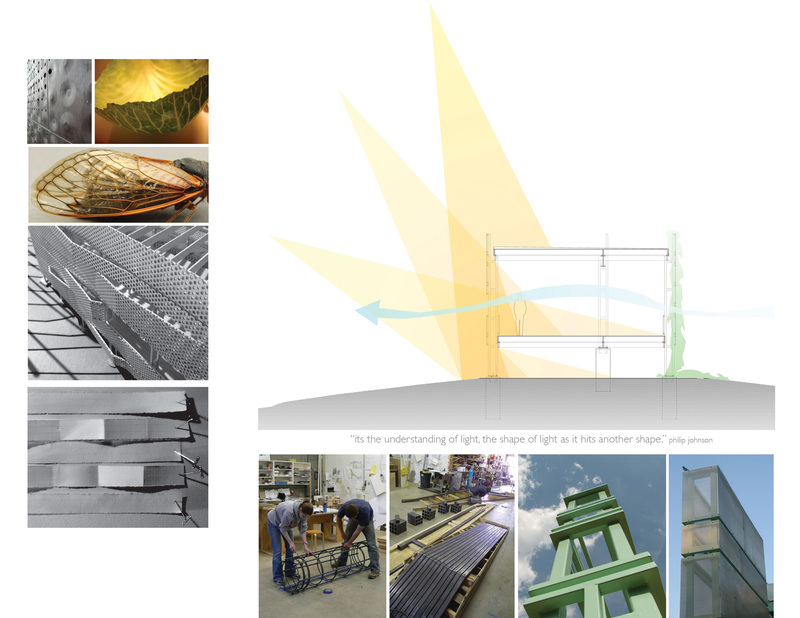 The materials of the structure have an embedded capacity for disassembly and reuse. 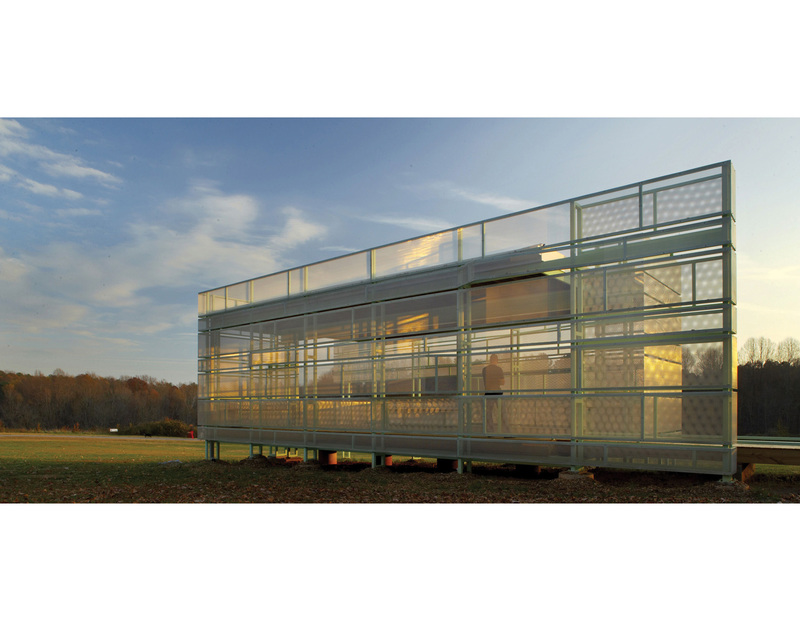 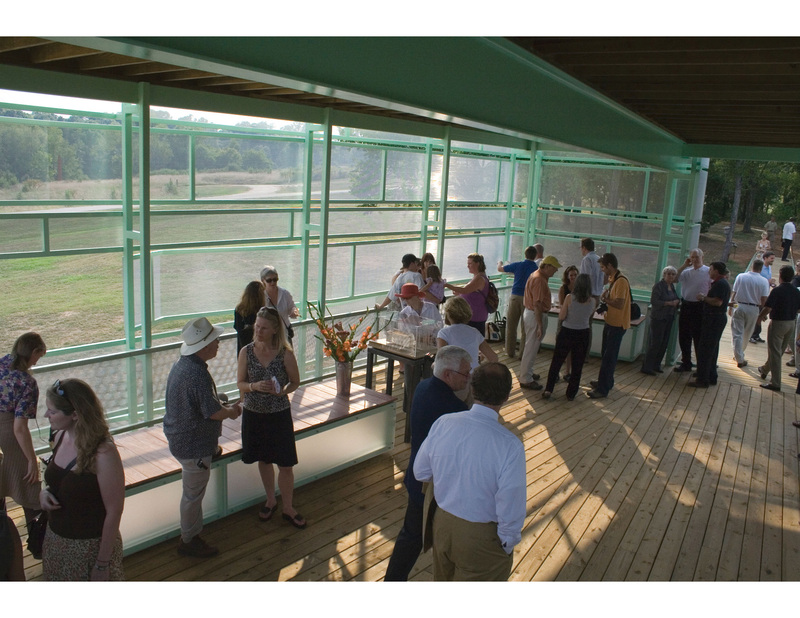 Large clear spans encourage its use as an open-air classroom, a beautiful indoor/outdoor setting for learning about art and nature, further promoting the mission of the adjacent museum.